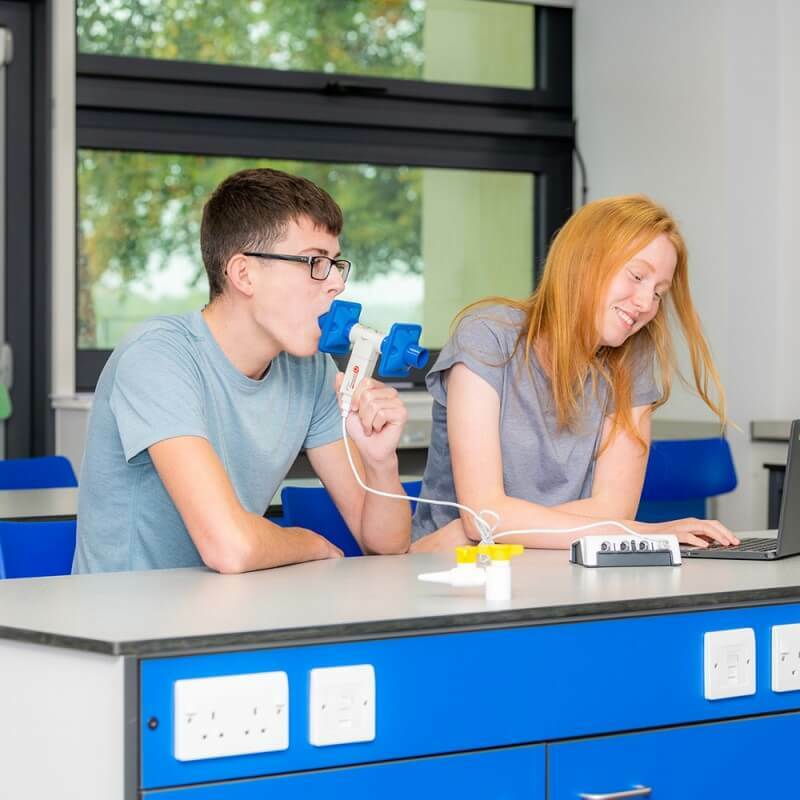 The Spirometer measures air flow by pressure drop across a reference flow resistance whilst the user breathes. It is portable, small, compact and needs no special gases or water. For educational / demonstration use. Not suitable as a diagnostic tool or for medical use. 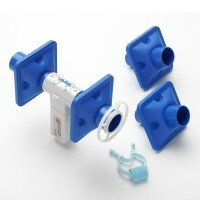 The Spirometer Sensor comes complete with a starter pack of 4 filters, a circular mouth guard and nose clip. One filter is left fixed as a pressure divider, the other three are for use by test subjects. The filters contains an antibacterial and antiviral filter to lessen the possibility of cross contamination between test subjects, once used they should be disposed of. Packs of 10 replacement filters are available. 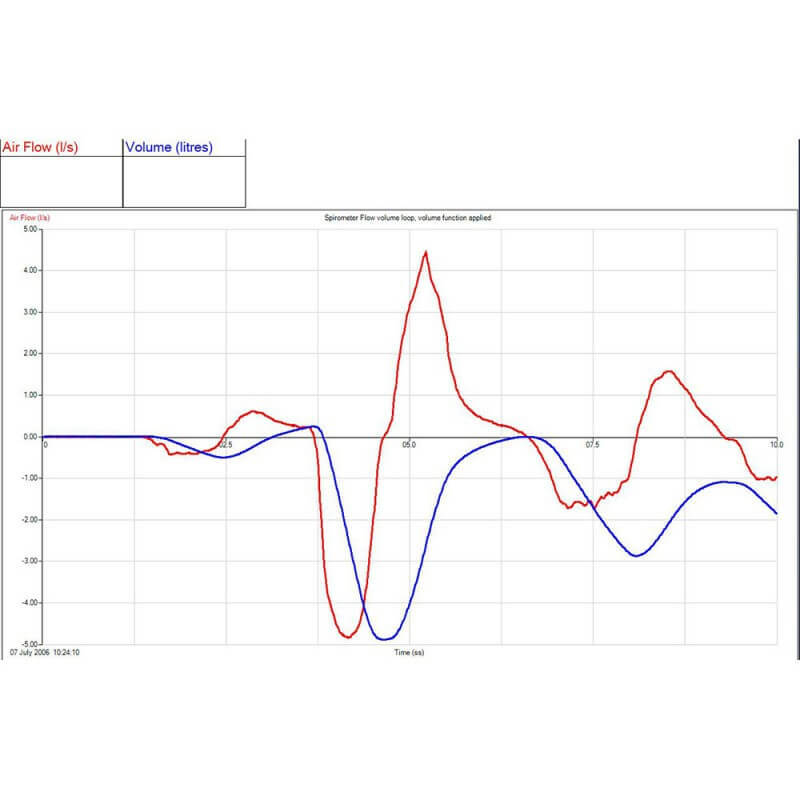 A function in the EasySense software can convert air flow data to volume so can be used for lung capacities, flow volume loops and lung ventilation efficiency investigations. 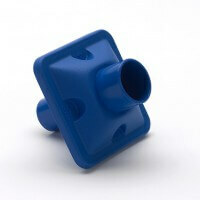 Flow head filters are capable of trapping sub-micron sized microbes. They have cross contamination efficiency for both bacteria and virus of 99.9% @ 55L/min and 750L/min. The flow heads carry the CE0086 quality mark and are made from plastic recycle type 5: Polypropylene (PPE). They also carry a mark to indicate and confirm that they are for single use (individual) only. Each student should use their own flow head. There is a possibility that infective agents trapped in the filter can become freed during inhalation and breathed back into the test subjects system. This represents a point of possible cross contamination. It is not sufficient to simply wipe the mouth piece of the flow head with an antiseptic wipe and pass the apparatus on to the next subject. This only cleanses the area in contact with the mouth, it does not disinfect the filter or the internal surfaces of the flow head.